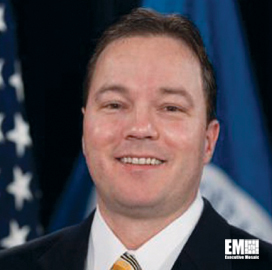 Keith Trippie serves as executive director for the Department of Homeland Security’s enterprise system development office which is a part of the Office of the Chief Information Officer. In this role, Trippie oversees the department’s enterprise application service offerings and the department’s cloud strategy. The role also includes responsibility for information sharing across the department, reducing time and cost for new services and providing the neccessary capabilities for a mobile workforce. The 18-year information technology and logistics veteran also serves as the chair for the DHS Applications and Services Council which provides guidance for DHS cloud capabilities. Prior to his current role, Trippie was acting executive director for the enterprise business management office within the CIO’s office at DHS where he was responsible for IT business management enterprise strategies. Trippie began at DHS at the beginning of its formation and served in the Transportation Security Administration’s Maritime and Land Division. In 2011, he was named a FED100 awardee and serves on the executive committee for the American Council for Technology. Trippie is a graduate of the University of Arkansas and the Harvard Business School Executive Education Program for Leadership Development.